Malanga is a tasty little root from the tropics. The plants are a close relative of the ornamental elephant ears grown in landscaping and they look much the same, though a little smaller. The central roots and the side roots are edible - just toss a good bulb back in the ground when you harvest and you'll have more the next year. Malanga is a bunching perennial that is easy to grow and divide. They enjoy a lot of water and can even grow right in a ponds without rotting. 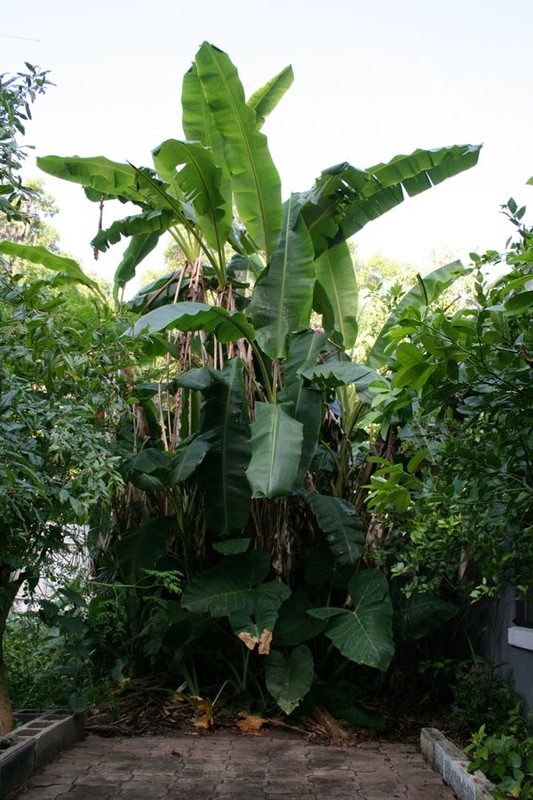 My best-looking malanga plants are growing in The Greywater Oasis by my back patio. That's where the roots above came from. A couple of days later I boiled these, then stir-fried them with rice, eggs, fresh greens, kidney beans and some curry. 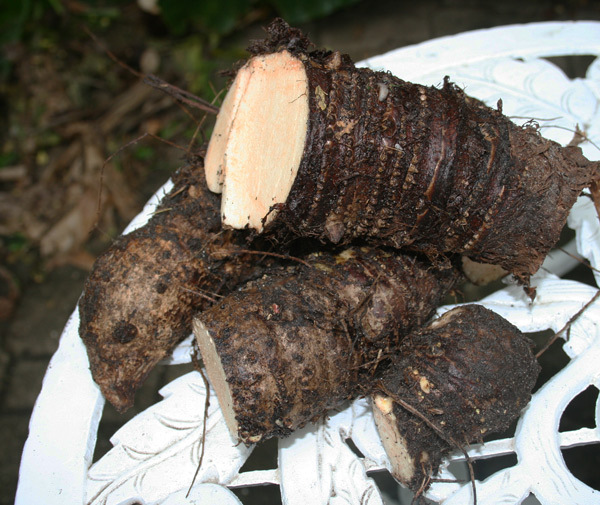 To grow your own malanga, go hit your local ethnic market and buy some good-looking roots, then plant them. That's how I did mine and I've now had them growing for years. I have malanga and edible taro growing. Both from store bought roots! I have what I think are malanga but I haven't taken them to be positively identified yet. Malanga are yummy! Yes. If you get the wrong thing, it'll burn your mouth. I have a friend who mixed up taro and malanga once. Once.